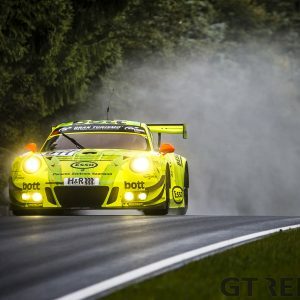 Time to prepare for the 24 Hours of the Nürburgring is running out. With just over a month to go until the start of the endurance classic, some teams are worried as they feel that their cars are not on par with the frontrunners. 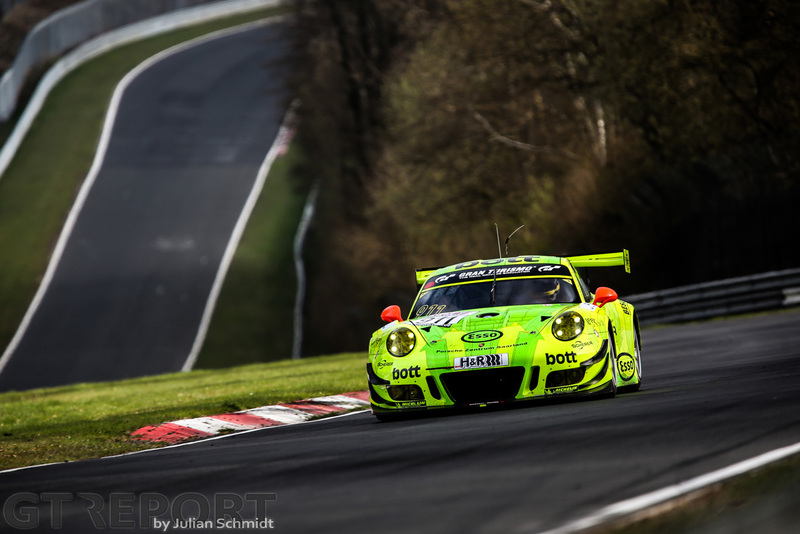 Others, such as Porsche’s works team Manthey Racing, have nothing to worry about. 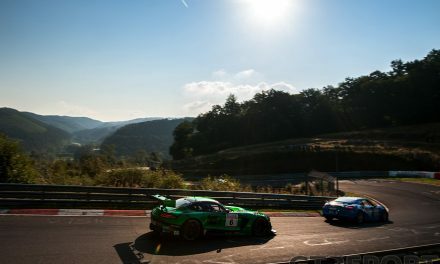 The Stuttgart brand is refusing to play the Balance of Performance game and unleashed its teams, allowing Manthey rack up two wins in just as many races. 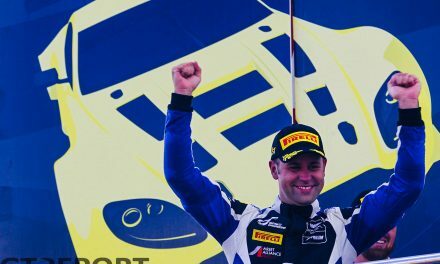 Porsche works driver Fred Makowiecki was part of both wins. Returning from the podium ceremony of the 42. DMV 4-Stunden-Rennen, still drenched in champagne and smelling like it, Fred Makowiecki looks like a happy man. He just took his second win of the season and is glad to race at full speed. 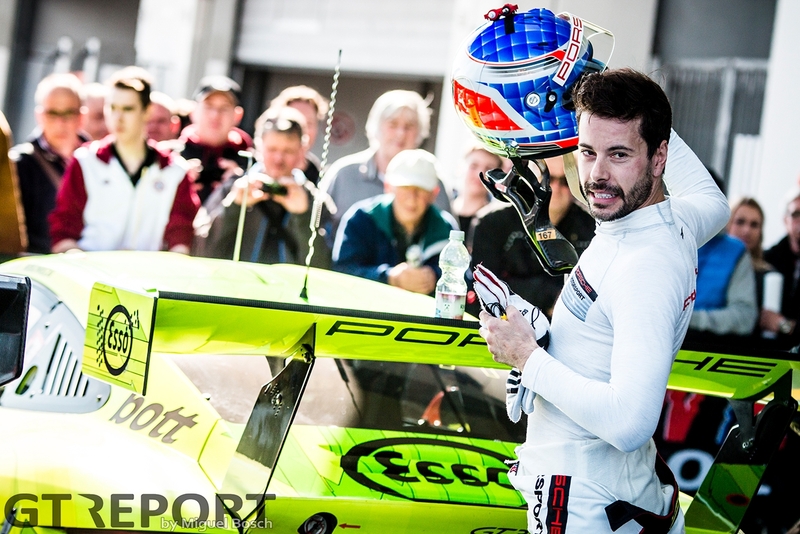 “I think it’s a different type of win than last time, because even if qualifying this morning was good for Porsche, during the race we for sure weren’t the quickest car on the track,” the Frenchman reflects on his second win in two weeks. “We managed to do a good strategy. Us drivers, we pushed, especially in the traffic, to compensate for a small disadvantage in performance. “The win in the previous race was a bit easier because we were always at the front. 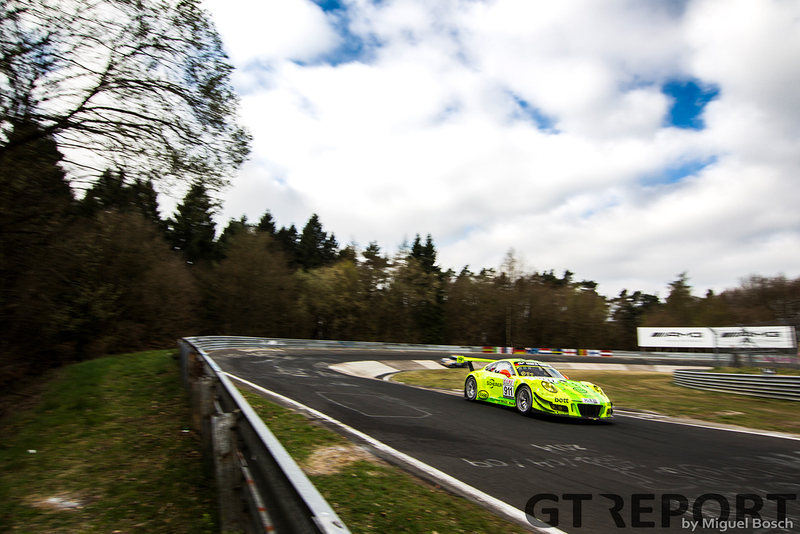 This time, at the start, Richie [Lietz] was unlucky and we lost a lot of positions. This is not an easy place for overtaking, we know that, and we are not the slowest in a straight-line, but are far from the quickest, unlike Bentley and Audi. They are a lot quicker than us. Almost it seemed like Manthey had to settle for second despite a very strong performance in the final hours. 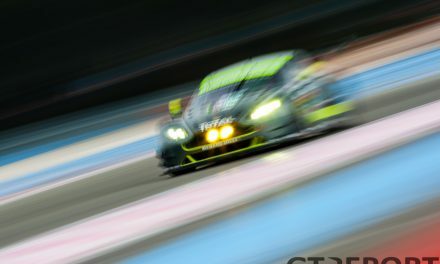 Christopher Mies in the Land Motorsport Audi R8 LMS GT3 went into the lead with a decisive move on the last lap. Makowiecki refused to give up, but to win seemed unlikely when he was about to enter Döttinger Höhe for the final time. 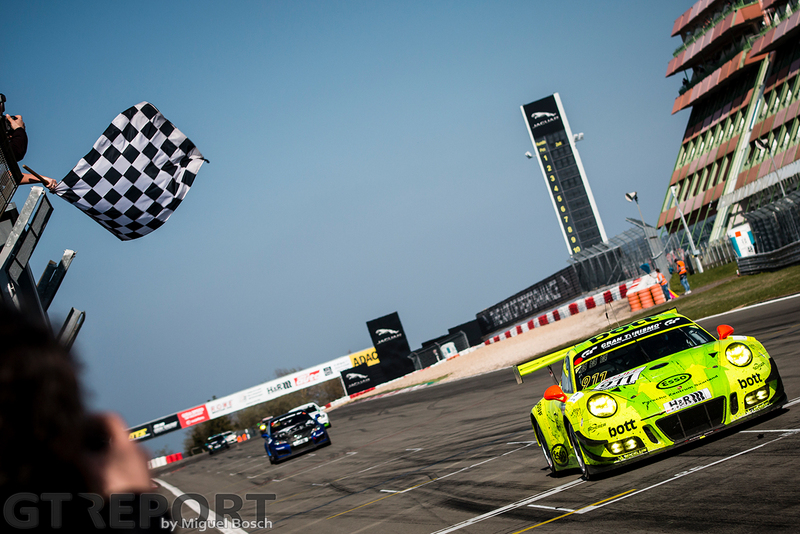 That was when the race-leading Audi slowed down with fuel problems, allowing the Porsche 991 GT3R racer to strike and score another win. “The Audi did overtake me and was quicker at the end, which is why I kept on pushing and stay in his exhaust, I didn’t want him to run away. Maybe we had a chance to do it, that’s why I kept pushing. I think we had a good chance. With all the signs of teams sandbagging, or having a Balance of Performance disadvantage, or really going all out for the win, Makowiecki says the tables might be turned next month. “The 24 Hours is a different race. 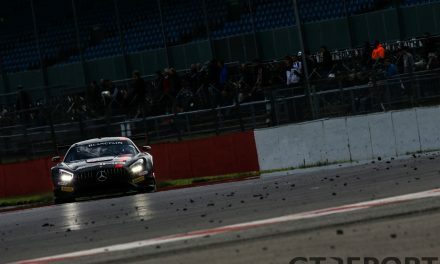 Just because we had a good race now doesn’t mean that we’ll also be strong at the 24 Hours. Last year, Mercedes was on another planet, that’s why I’m a bit surprised by their performance now. Back then they were untouchable and we were just a spectator on the track. “I’m looking forward to the 24 Hours, but I don’t trust everyone, I don’t believe that all manufacturers are showing their true performance. “Audi definitely are very quick. But some of our competitors didn’t show their true performance. 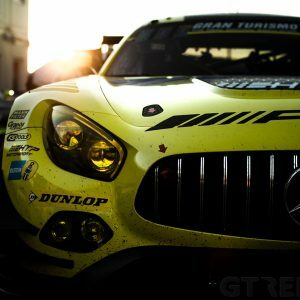 I can’t imagine Mercedes and BMW are so far back because of the Balance of Performance. 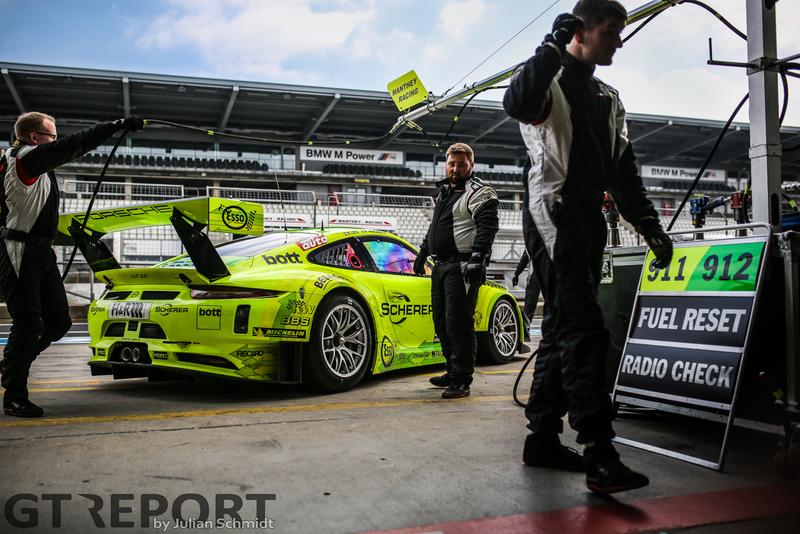 Backed by wins, pole positions and showcasing fast race lap times, Porsche is taking the unusual approach of showing its true colours. Makowiecki hopes their honesty will pay off and the slackers are punished once the final Balance of Performance is set. “I can only say that from our side, we’ve got two wins and we’re showing the maximum of what we can do and try to be honest. I hope that’ll turn out to be positive for us as it’s not nice when some people sandbag and get an advantage for the 24 Hours. 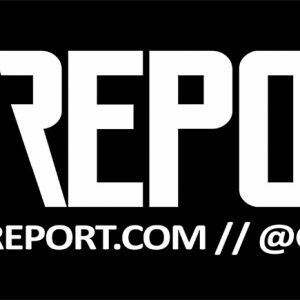 Miguel is the founder and editor-in-chief of GT REPORT. He's more interested in the human side of the sport and the heroics of racing. Also the founder of automotive PR and photography agency GTXM.media. When it doesn't clash with racing you'll find Miguel cheering football club Vitesse on.